Author: Huff, Tanya Set In . . . 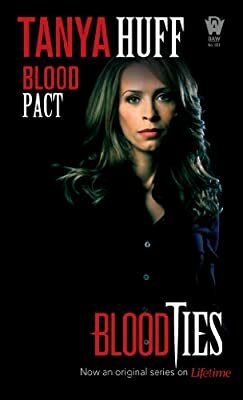 Description: The Blood Books are now available in "Blood Ties" TV tie-in editions. View our TV tie-in feature page here here. Vicki Nelson has received the call that no daughter ever wants to receive—that her mother has died. Marjory Nelson’s coworkers at the Queen’s University Life Science Department told her that she suffered a heart attack, and that they’d be waiting for Vicki to arrive in Kingston to make the funeral arrangements. But what begins as a personal tragedy turns into the most terrifying case of Vicki’s career, when her mother’s body disappears mysteriously from the funeral home. Someone at the University is determined to learn the secret of life after death…and they’ve decided to make Vicki’s mother part of their horrifying experiments.